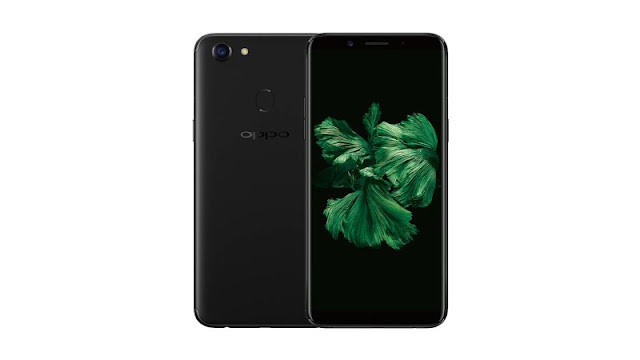 Chinese Company Oppo has launched there two Brand new smartphones.one are Oppo A75 and anotherone A75s. Both Smartphone come with same features and displays difference is in there in the inbuilt storage.Lets Discuss About there Oppo A75, A75s Review: Specifications Pros and Cons, Specs. Rear Camera. the Smartphone powered by a 2.5GHz MediaTek Helio P23 (MT6763T) SoC coupled that come with 4GB RAM and 32GB of inbuilt storage.The smartphone runs Color OS 3.2-based on new but not latest one Android 7.1 Nougat.Provide dual SIM (GSM+GSM) feasibility. Rear Camera. the Smartphone powered by a 2.5GHz MediaTek Helio P23 (MT6763T) SoC coupled that come with 4GB RAM and 64GB of inbuilt storage.that a difference in A75s and A75.The smartphone runs Color OS 3.2-based on new but not latest one Android 7.1 Nougat.Provide dual SIM (GSM+GSM) feasibility. 6.0-inch (1080x2160 pixels) full HD LCD display. Provide all Type of connectivity like Wi-Fi 802.11 a/b/g/n, 4G, Bluetooth 4.2, GPS. Many pepole search on internet to Find some Best smartphone Under 7,000 range.Dont waste your time we are provide you the Top 5 Best Smartphone under 7,000. Samsung is anounced lounching date of Samsung Galaxy S7.The Samsung Galaxy S7 was coming on March 11 2016.but its opt is Also avilable its Iphone 6S.now the qus. is who is the best smart phone in Samsung Galaxy S7 vs Apple iPhone 6S. Google was lounched new smartphone Google Nexus 6P.here you see Google Nexus 6P review,pros and cons,advantages,disadvantages,price and specification.nexus 6P was come with great features.Google Nexus 6P is just 39,999.Google Nexus 6P screen is big provide 5.7 inch screen.Nexus 6P is impressively thin (7.3mm) and very light. Here AQUOS was intoduced new smartphone AQUOS ZETA SH-01H and SHARP AQUOS SH-02 compact.provide lots of spevification in AQUOS ZETA SH-01H and AQUOS compact.here we provide AQUOS ZETA SH-01H and SHARP AQUOS SH-02H compact review,features,pros and cons.the phone was intoduced with some very intrested features like its camera the 8-megapixel camera is present below the display since there is no space on the top. It also has a fingerprint sensor on the back, below the camera. after waited HTC launch The phone HTC one m9+ with 21 megapixel camera,laser AF and OIS.HTC m9 was launch in last march.and the next model of HTC ONE M9+.ONE M9+ come with the international version of the Butterfly 3, as we are expected. Micromax Canvas Spark 2 3G smartphone Specification & price, pros, cons, Advantages, disadvantages. After micrimax convas spark micromax lounched spark 2 with great features.5-inch IPS display with a resolution of 480 x 854 pixels. The smartphone is powered by a 1.3GHz quad-core processor.and more other features. now thee Micromax has launched the new micromax Canvas Sliver 5 at Rs 17,999 only. The sleek device is mere only the 5.1mm in thickness end-to-end. there waight is 97 grams, the company claims to the lightest smartphone, ever.